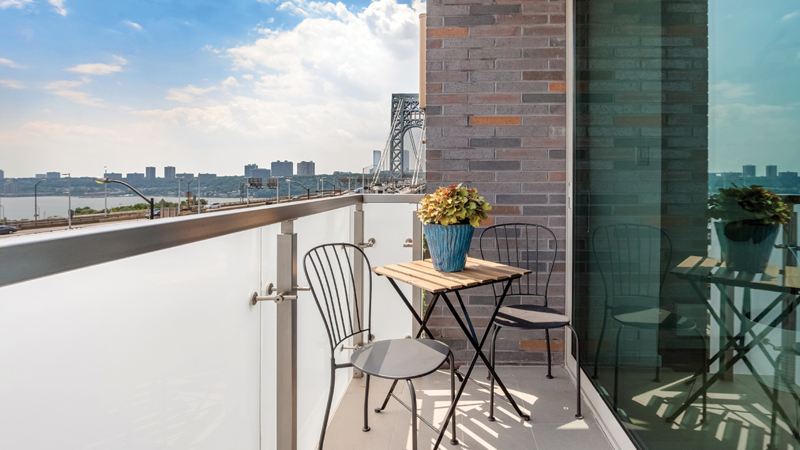 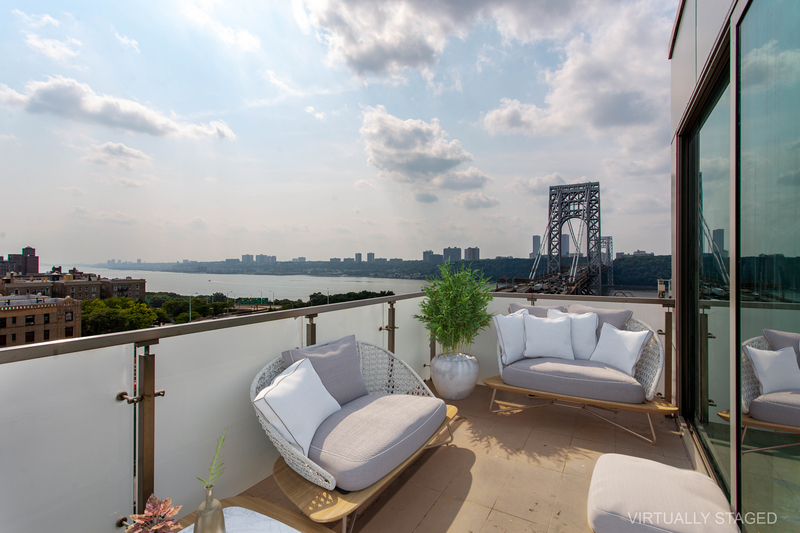 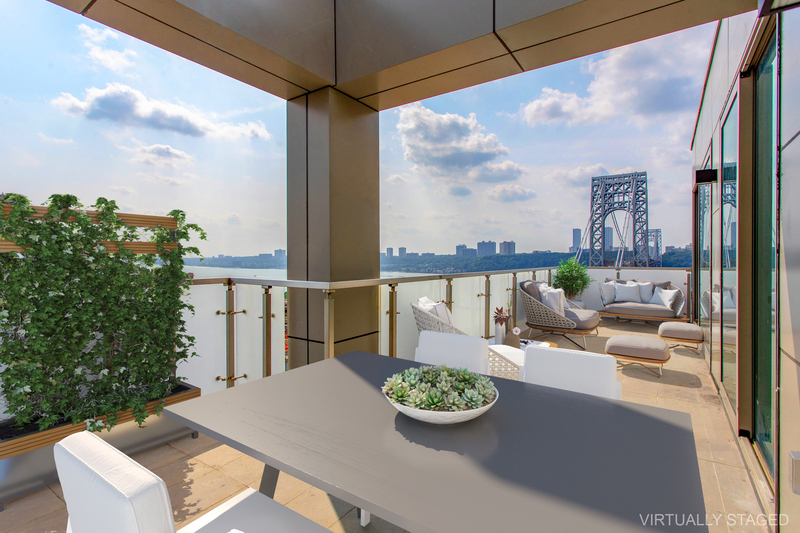 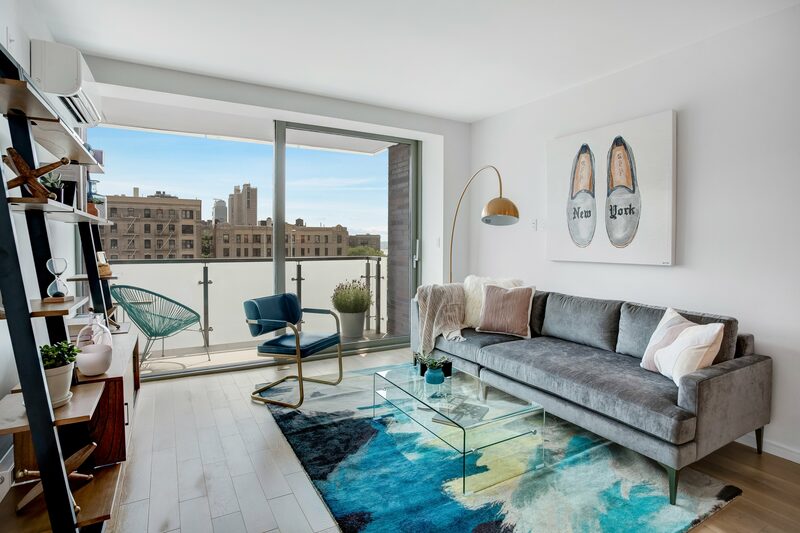 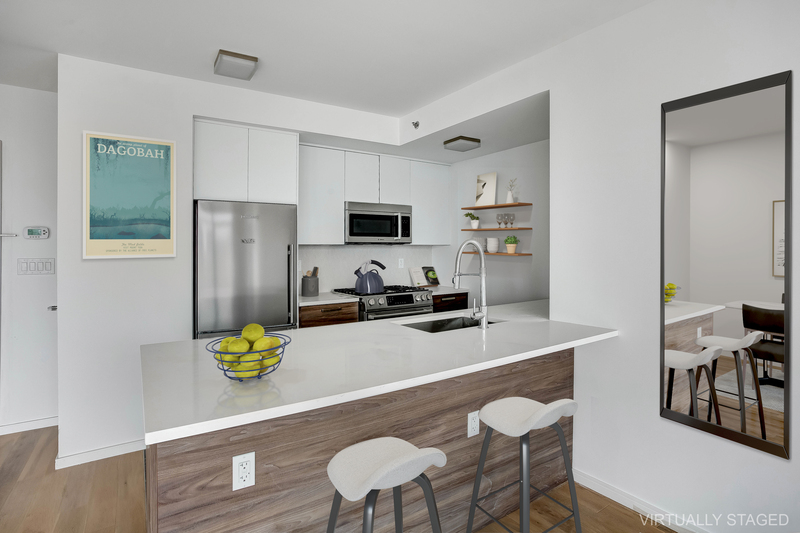 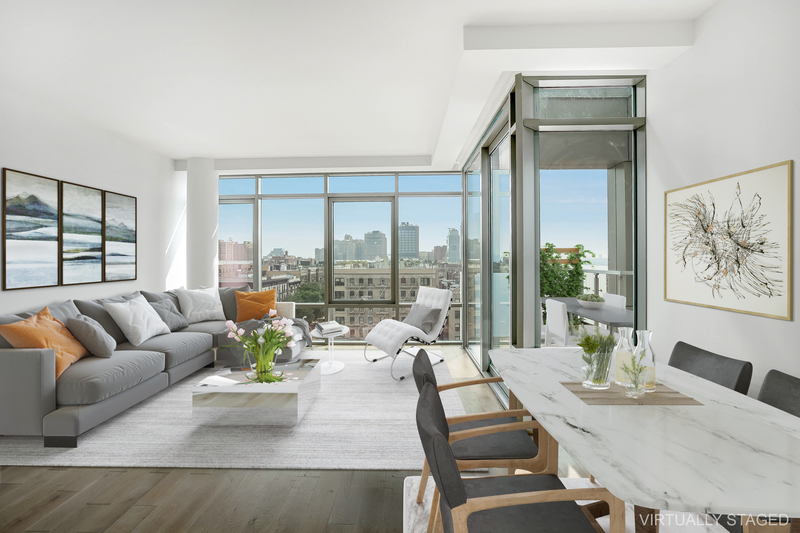 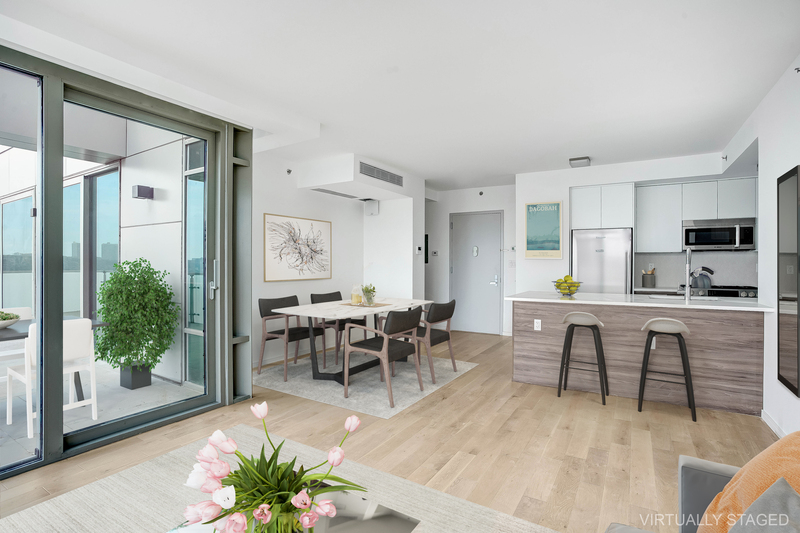 Living rooms feature floor to ceiling, triple-paned windows and private terraces to take in sweeping views of the Hudson River and George Washington Bridge. 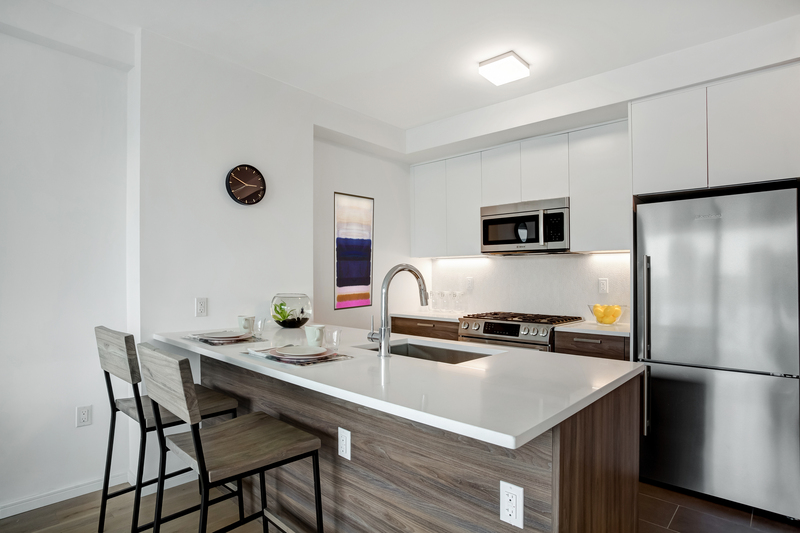 Open concept, chef's kitchens incorporate Bosch and Blomberg appliances, Caesar stone countertops, and Porcelanosa tiles and backsplash. 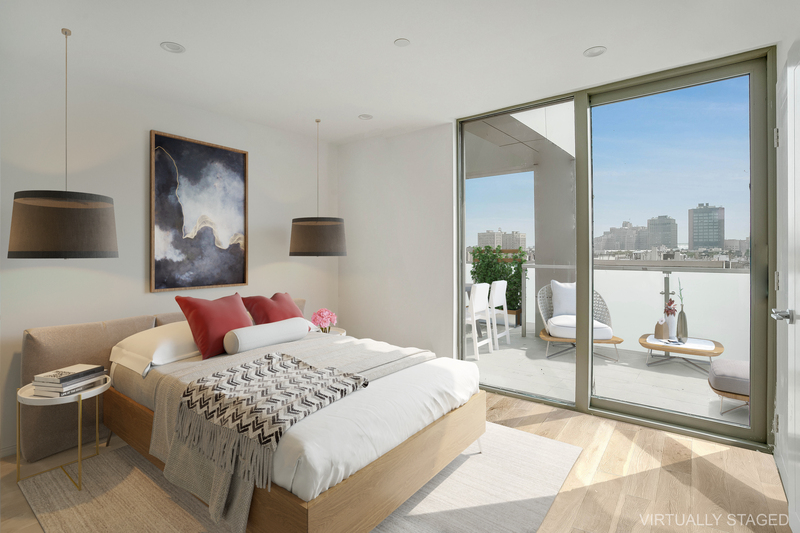 Queen-sized master bedrooms offer generous closet space and southern light. 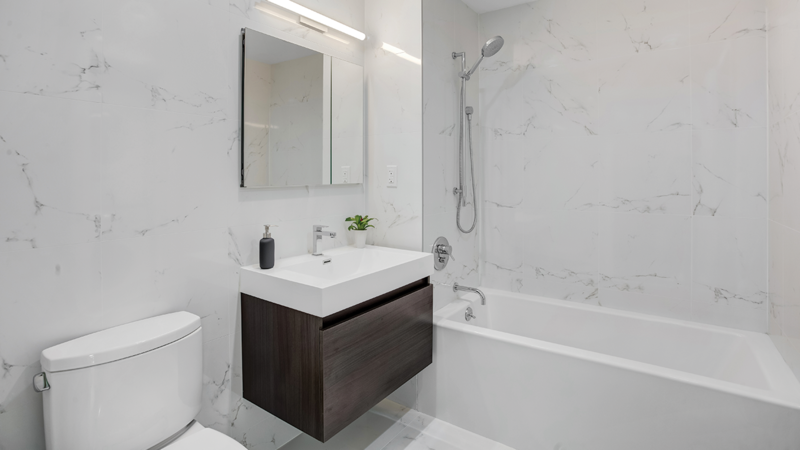 Well-appointed bathrooms are outfitted with Porcelanosa tiles and fixtures as well as a deep soaking tub, and a seperate closet with an energy efficient stacked washer/dryer. 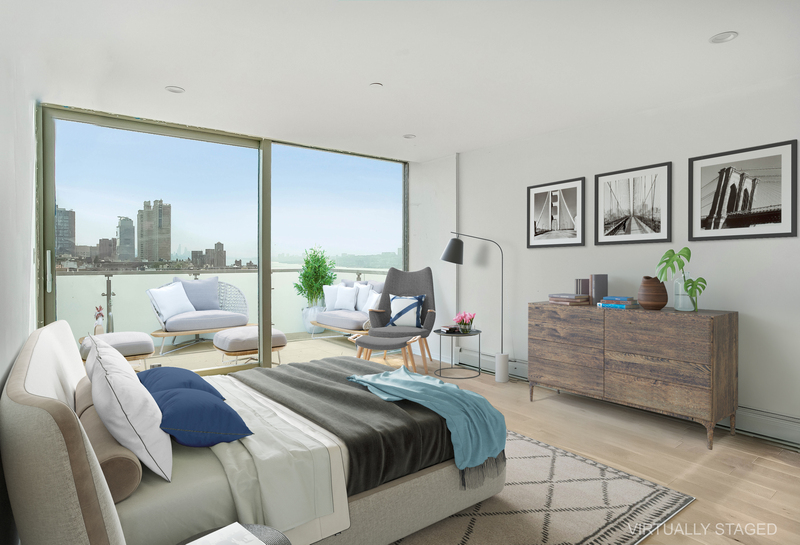 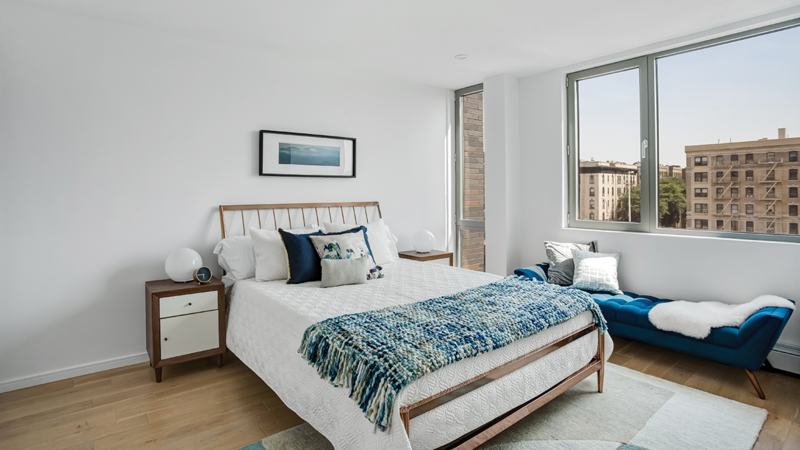 Four luxury penthouse units each have two bedrooms and two bathrooms, and feature generous outdoor terraces to dine and relax on.